This week we talk about Lunar New Years… and it goes in some strange places. From Meiji Japan to where the intern should move to next. Enjoy! “Slanted View” is a podcast hosted by the Chopso Team — including Koji Steven Sakai, Quentin Lee, Sue Limsukonth and Alan Chan — and each offers their take on all things Asian. Hey Bay Area folks: An exhibition of the original illustrations from the 442 comic (plus more) will be on display at the Oakland Asian Cultural Center starting this Saturday. The authors Phinny Kiyomura and I and will be illustrator Robert Sato will be there talking about the project and handing out books. Angry Asian American art! Oppression anecdotes! Free books! Super excited to announce that the printed version of the 442 graphic novel is finally coming out in a few short weeks! Whoo hooooo! It’ll be available to purchase on Amazon and on our website http://www.442-Graphic-Novel.com starting Jan 25. We’ll be having a book launch at Giant Robot 2 on Sunday Feb 3 at 3 pm. If you’re in the area, please come and check it out. We’ll also be having book talks throughout California in the coming months, so stay tuned for more information. Join us for the world premiere of the Director’s Cut of STRANGERS by Michael Aki and starring Eugenia Yuan. A dead man’s girlfriend turns out to be a hit man’s new assignment, but an unfamiliar longing for connection stays his hand. The unlikely odd couple embarks on an odyssey that necessarily evolves into a getaway. STRANGERS is the sophomoric feature directed by Michael Aki after his first feature, SUNSETS (1997) that world premiered as part of Class of 1997, Asian American New Wave, at the San Francisco International Asian American Film Festival in 1997. Preceding STRANGERS is Director Brian L. Tan’s 30-minute film HOLDOUT, a historical action drama based on a true story of the last Japanese holdout from World War II. Left behind on an island by his unit, he never learned of Japan’s defeat and has been fighting a one-man war ever since. Suddenly, his worldview is challenged when he encounters a modern American tourist. Actress Eugenia Yuan, Director Michael Aki and Director Brian L. Tan “BLT” will appear for a Special Q&A after the film. Join Michael Aki and Eugenia Yuan at the After Party at Little Tokyo’s historic Far Bar (https://www.farbarla.com/), at 347 East 1st Street, Los Angeles, CA 90012 after 10 pm. Cash bar only. 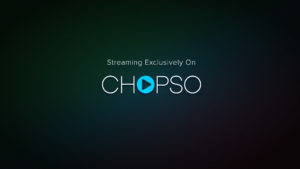 STRANGERS will stream worldwide date and date on December 7 on CHOPSO. We are pumped to add this show from an experienced group of creators to our catalog of five Candivan Original Series. The Front Office is a Shakespearean drama about a family-owned basketball franchise and the drama that ensues when the leadership switches from the father to one of his three daughters. 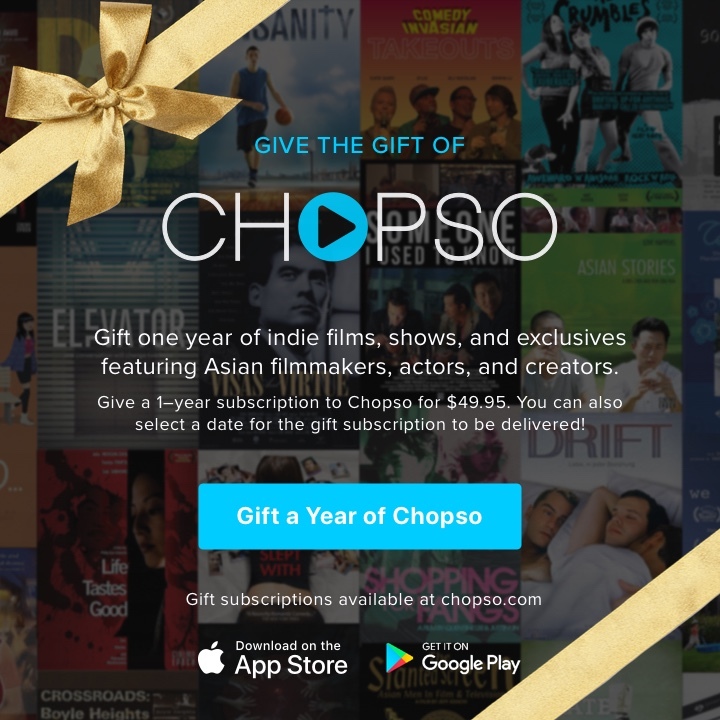 Writer/producer of The Front Office, Koji Steven Sakai, is also the CEO of CHOPSO, the first Asian English streaming video service. He has written five feature films that have been produced, including the indie hit, The People I’ve Slept With. He also produced three feature films, a one-hour comedy special currently on Starz, and Comedy InvAsian, a television series featuring the nation’s top Asian American comedians, that is currently streaming on Hulu. Emily’s screenplay, Romeo, Juliet, and Rosaline, co-written with Koji Steven Sakai was optioned by Amazon Studios. She has been published in a Smith and Kraus anthology, 161 Monologues from Literature and in Kids’ Comedic Monologues that are Actually Funny. Director of The Front Office Tom Huang is an award-winning indie filmmaker and screenwriter. His latest award-winning feature film, \Find Me, is playing in festivals across the US, and recently won Best Screenplay and Best Feature Film awards in Rhode Island and Atlanta. We can win this; help Candivan launch! The Front Office and many other great series will only exist if Candivan successfully launches. You can help make this happen! Please subscribe to the Candivan mailing list here, and stay tuned for our Indiegogo announcement coming this week! Watch or Rent Dying to Kill today! 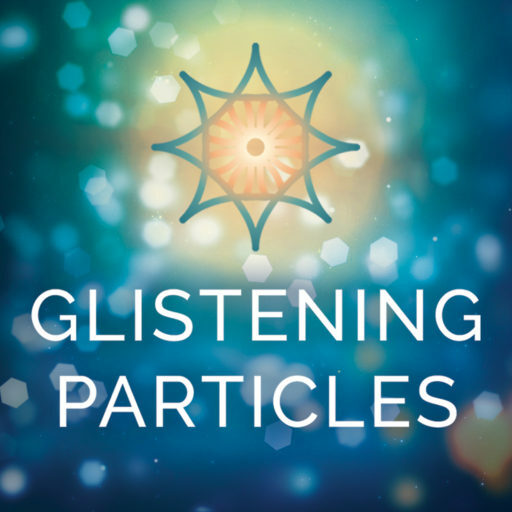 I was interviewed on the Glistening Particles podcast with Jane Ellen. I talk about writing, my career, family, and other fun stuff! Check it out and give it a listen. Also, please subscribe to her awesome podcast–one of my personal favorites!